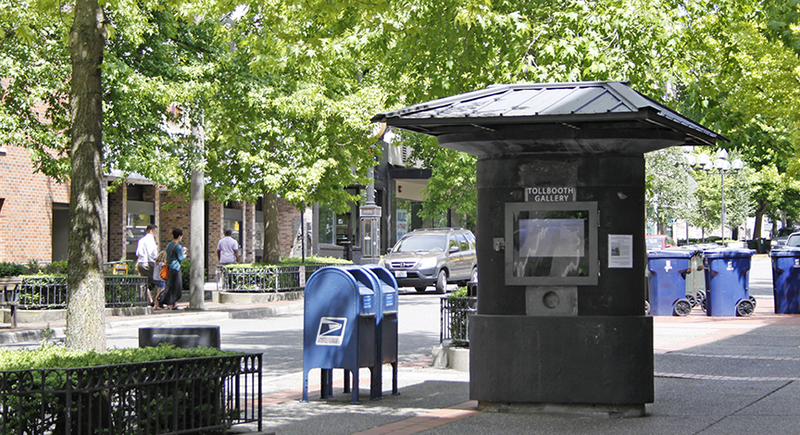 Often billed as “The World’s (or at least the South Sound’s) Smallest Art Gallery, The Tollbooth Gallery is located on the corner of Broadway and South 11th in downtown Tacoma. Founded with a view of promoting site specific experimental art, this historic tollbooth-turned-gallery features short format work from regional visual artists and film makers. Click here to see the what the Tollbooth Gallery is current featuring. The Tollbooth Gallery, close to the corner of 11th & Broadway in Downtown Tacoma.